I joined the singing group a couple of years ago. 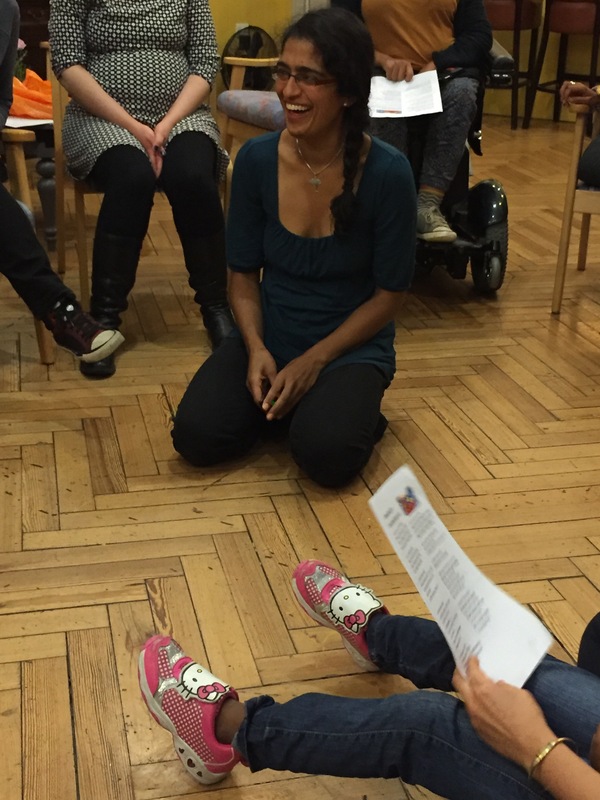 I had been to a workshop with Shilpa, who runs the singing sessions for us, and I was totally hooked. I felt free. Coming to the group was an even bigger bonus, as I got the singing, yes, but also found an amazing community of women. Women who have genuinely welcomed me for me. I came back after the first session. It was a potent combination of the power of my voice, feeling really accepting of myself – that singing wasn’t a difficult or unnatural or complicated thing. That it was something I could tap into, and become part of a group, just by doing it. I loved how welcome everyone in the group was made to feel and it was a really unique place where everyone was welcomed and everyone could contribute. It’s the little things that keep bringing me back – things such as not following music, or having to follow notes. After two years, I still happily don’t know if my voice is baratone or any of those things. Or what a key is. I just follow Shilpa moving her hand up and down to indicate where we sing a bit higher or lower. It is brilliantly simple. Before I came to the singing group, I believed singing was hard, or precise or not for me.